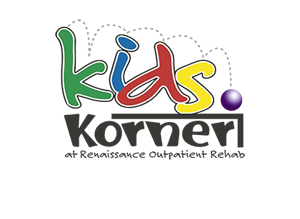 What type of therapy services does Kids Korner offer? Kids Korner Therapy provides Physical Therapy, Occupational Therapy, Speech Therapy and Social Services to our patients throughout the Rio Grande Valley. Who needs Pediatric Physical Therapy (PT)? Children who have suffered an injury, undergone surgery, have a congenital condition or developmental delays can benefit from physical therapy programs. We offer physical therapy for kids with a variety of needs for children ages 0-18. Our physical therapist can assess joint range of motion, muscle power, neurological function, motor control and posture to improve a child’s balance, coordination, strength and endurance. We realize that a child’s job is to play! Our physical therapists are concerned with a child’s ability to participate in movement activities such as crawling, walking, running, playing games and participating in sports. In addition, physical therapists can help the children who rely on mobility devices learn to navigate safely in various environments. How long will my child need PT? Every child is different and as such, we treat each client like an individual. Some children will only need to see us for a short time , depending on their situation, such as a sports injury or a reluctant walker. Physical therapy for kids with significant developmental delays and other disabilities may require more time and frequency. What type of tools does a therapist use? Our physical therapy for kids includes a therapeutic gym, soft play room and a Snoezelen Room, among other numerous tools. We have a rock wall, stairs, swings, jungle gym, ball pit, trampoline, therapy balls, water bed……the list goes on! Therapist use music, balls, manipulative and age appropriate games to engage the children in each therapy session. Our physical therapists want to help children reach optimal independence and adequate physical functioning at home, at school, on the playground and in their community. We can even help teach parents how to continue their child’s care at home to help them develop even further. If you think your child will benefit from pediatric physical therapy, contact us today! Pediatric occupational therapy helps children gain independence while also strengthening the development of fine motor skills, sensory motor skills, and visual motor skills that children need to function and socialize. A child’s role in life is to play and interact with other children. Our pediatric occupational therapists evaluate a child’s current skills for playing, school performance, and daily activities and compare them with what is developmentally appropriate for that age group. OT’s help children perform daily activities they may find challenging by addressing sensory, social, behavioral, motor, and environmental issues. Who may benefit from OT? What can parents hope to see accomplished through OT? If your child babbles, has trouble putting sentences together, stutters or experiences difficulty with sensory processing, pediatric speech therapy would be beneficial. Speech and language disorders are often common in children with autism, down syndrome, cleft-palate, sensory dysfunction, verbal apraxia, head injury, and many other syndromes. Pediatric speech therapy treats communication challenges, both expressive and receptive, that cause children to have difficulty with verbal communication. Speech therapy also treats oral motor concerns, such as chewing and swallowing, as well as articulation, auditory processing and social skills. Select the target speech sounds for modification. Establish baselines with the client. Pragmatics: how we use language to communicate socially. ***Sometimes children with language and speech disorders have other disorders with speech and language secondary: autism, down syndrome, cleft-palate, sensory dysfunction, verbal apraxia, head injury, and many other syndromes. These will be discussed with families on a specified need basis. Contact us today to find out how we can help your child succeed. Kids Korner is committed to maintaining the highest standards in both our patient care and our administration by creating a friendly, family-oriented environment of people who care deeply about the well being of our patients.